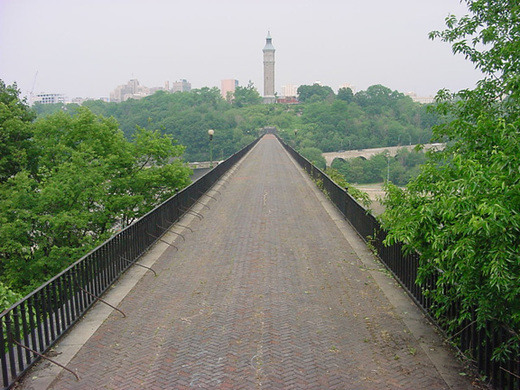 The High Bridge is New York City’s oldest standing bridge. It recently re–opened in 2015 after closing or decades for rehabilitation. The bridge connects Manhattan to the Bronx at the Harlem River. After crossing the bridge, run through the quiet, lush greenery of Highbridge Park on the Manhattan side. 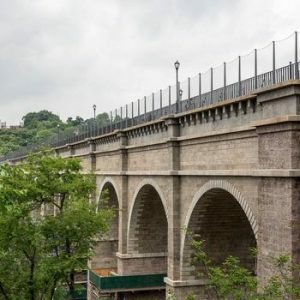 Admire the waterfront view of the park while discovering remnants of the Old Croton Aqueduct (described above), New York City’s first water supply system. The park is especially pretty in autumn. Starting from the 170th St. Subway Station makes this route easily accessible by taking t he 4 train. Add-On: Head down to the Hudson river and enjoy the miles of trails heading north or south. Wow, awesome weblog layout! How lengthy have you been running a blog for? you made running a blog glance easy. The entire glance of your web site is magnificent, let alone the content material! #4 trail to 170th St.